My Overstuffed Bookshelf is hosting the 2011 100+ Reading Challenge, and as the challenge title suggests: the challenge is to read more than 100 books in 2011. That's a great challenge if you ask me! 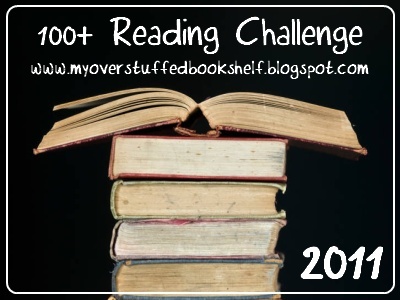 I can combine the books that I read for my other two challenges, as long as I read 100 books in between January 1st and December 31st, 2011. I will be linking the reviews from all the books I've read that count towards this challenge on my new Challenges 2011 page. Are you joining the challenge as well?